Charlie Donlea, one of the most original new voices in suspense, returns with a haunting novel, laden with twists and high tension, about two abducted girls—one who returns, one who doesn’t—and the forensics expert searching for answers. A year later, the bestselling account of her ordeal has turned Megan from local hero to national celebrity. It’s a triumphant, inspiring story, except for one inconvenient detail: Nicole is still missing. Nicole’s older sister Livia, a fellow in forensic pathology, expects that one day soon Nicole’s body will be found, and it will be up to someone like Livia to analyze the evidence and finally determine her sister’s fate. Instead, the first clue to Nicole’s disappearance comes from another body that shows up in Livia’s morgue—that of a young man connected to Nicole’s past. Livia reaches out to Megan for help, hoping to learn more about the night the two were taken. 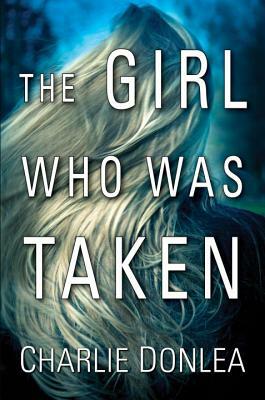 Other girls have gone missing too, and Livia is increasingly certain the cases are connected. But Megan knows more than she revealed in her blockbuster book. Flashes of memory are coming together, pointing to something darker and more monstrous than her chilling memoir describes. And the deeper she and Livia dig, the more they realize that sometimes true terror lies in finding exactly what you’ve been looking for. Charlie Donlea lives in Chicago with his wife and two young children. He spends a part of each year fishing with his father in the far reaches of Canada, where the roads end and lakes are accessible only by floatplane. These majestic trips to “God’s Country” inspired the setting for his novels. With so many choices of entertainment, and countless other books to choose from, he thanks you for spending your time and treasure on his creation. Readers can find him online at charliedonlea.com.